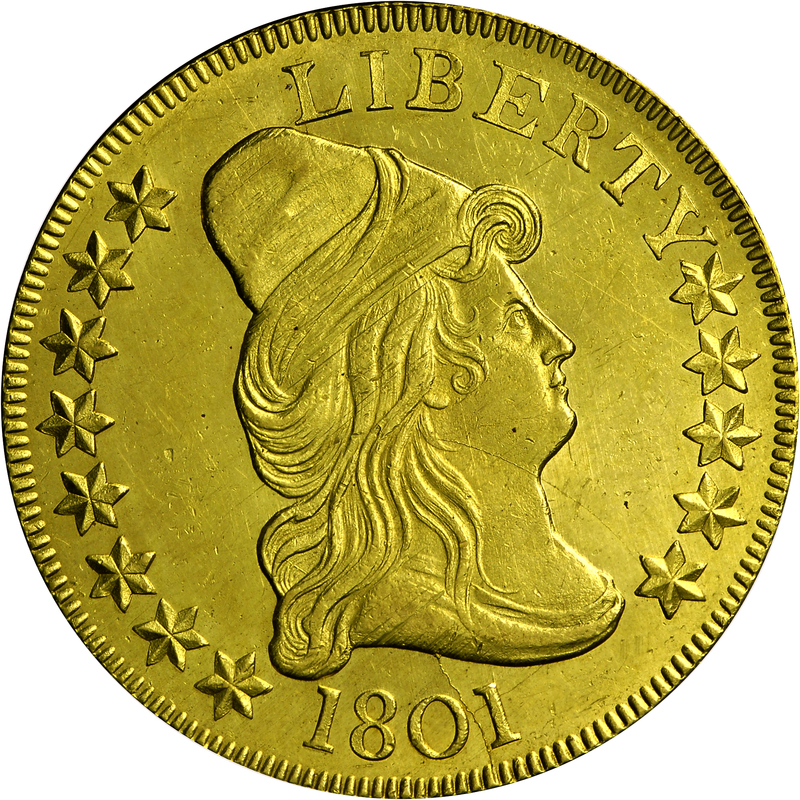 Two 1801-dated varieties are known through combination of two obverse and two reverse dies. 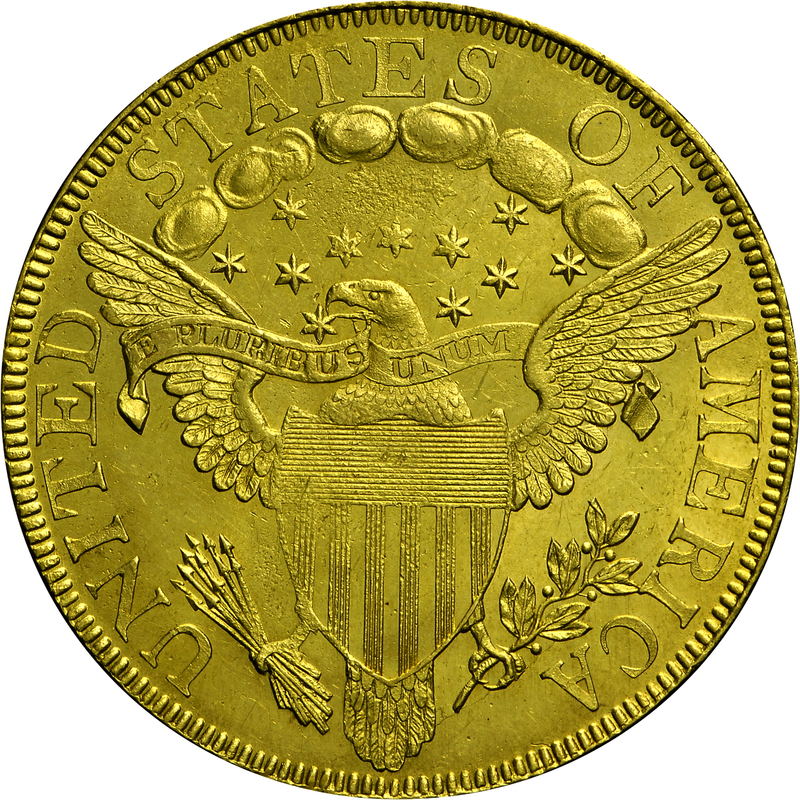 This variety shares its reverse die with the 1800-dated coinage and was earlier used with a 1799-dated obverse. The emission sequence indicates that some 1800-dated coins were struck after these 1801 examples. This die marriage is quite scarce, with only about 50 examples known, including this lovely Mint-State coin from the Bass Collection – possibly the finest known. From Superior's session of Auction '89, July 1989, Lot 914. 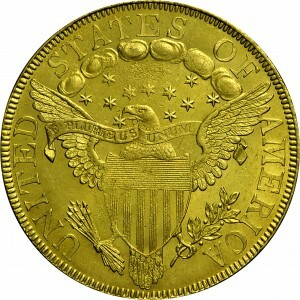 "Obverse: Large stars, as 1799 obv. 5 and 1800. Star 1 close to curl, star 8 away from cap. L close to cap, Y close to star. Star 13 away from bust. Cracks: edge - between 0 and 1 - bust, from crack to final 1, two 1 - bust, star 13 - throat - hair - field behind head, edge - L - cap. 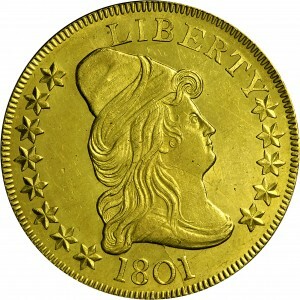 Reverse: That of 1799/G. Denticle clashes above STAT. Cracks."